LONDON (Reuters) - A new exhibition celebrating the 20th anniversary of the first Harry Potter book's publication is offering 'muggles' with an interest in magic the chance to view rare memorabilia, combined with historic artifacts referenced in the popular series. "Harry Potter: A History of Magic," held in the British Library in London, features Potter memorabilia including author J.K. Rowling's first annotated sketch of Hogwarts school, as well as her handwritten list of its teachers and subjects. 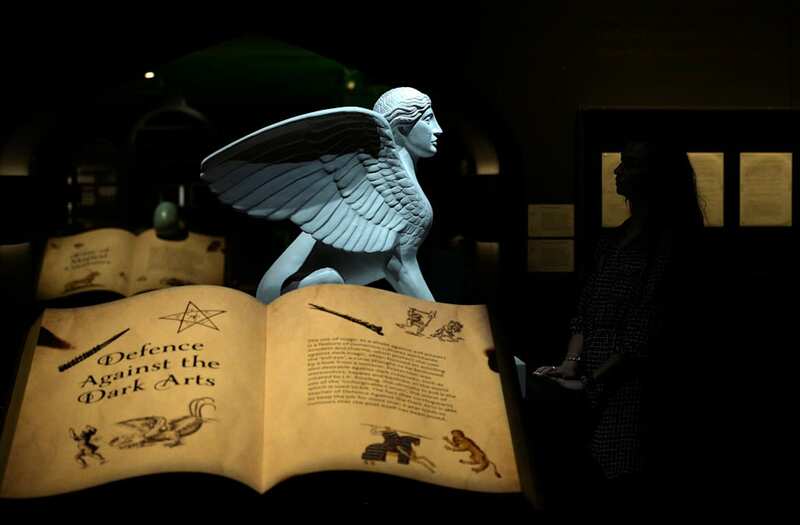 As well as the items associated with Rowling and the book series, the exhibition also features historic artifacts from the library's collection, including alchemists' scrolls from the 1500s and Chinese oracle bones from the 12th century. "Our exhibition explores the history, mythology and folklore behind the Harry Potter stories," Julian Harrison, the exhibition's lead curator, told Reuters. "We investigate broomsticks and cauldrons and unicorns and dragons. We’ve organized the exhibition around some of the subjects that students would study at Hogwarts School of Witchcraft and Wizardry, from potions to charms to astronomy and divination." The seven Harry Potter books have been translated into 68 languages and have sold more than 400 million copies worldwide, Rowling's publishers say. The final book in the series was published in 2007, but the series spawned a series of hit films, a U.S. theme park and a hit stage play that have kept the franchise in the public eye. Rowling herself appears to have enjoyed the blend of her fictional world with the library's collection. "Encountering objects for real that have in some shape or form figured in my books has been quite wonderful," she said in a statement. The exhibition runs from October 20 until February 28 2018.